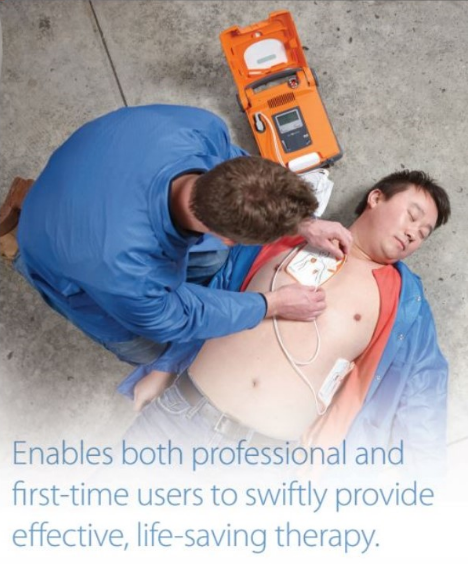 8-year warranty on the AED. 4-year full battery operational replacement guarantee. Set of Replacement pads (adult) for Cardiac Science G5. AED Locator Sign "V" Shaped Easily seen from all directions 8″ x 10″ AED SIGN ON BOTH SIDES Silk screen lettering on powder paint. AED Locator Sign Great for hanging above your AED 8″ x 10″ AED SIGN Silk screen lettering on powder paint.